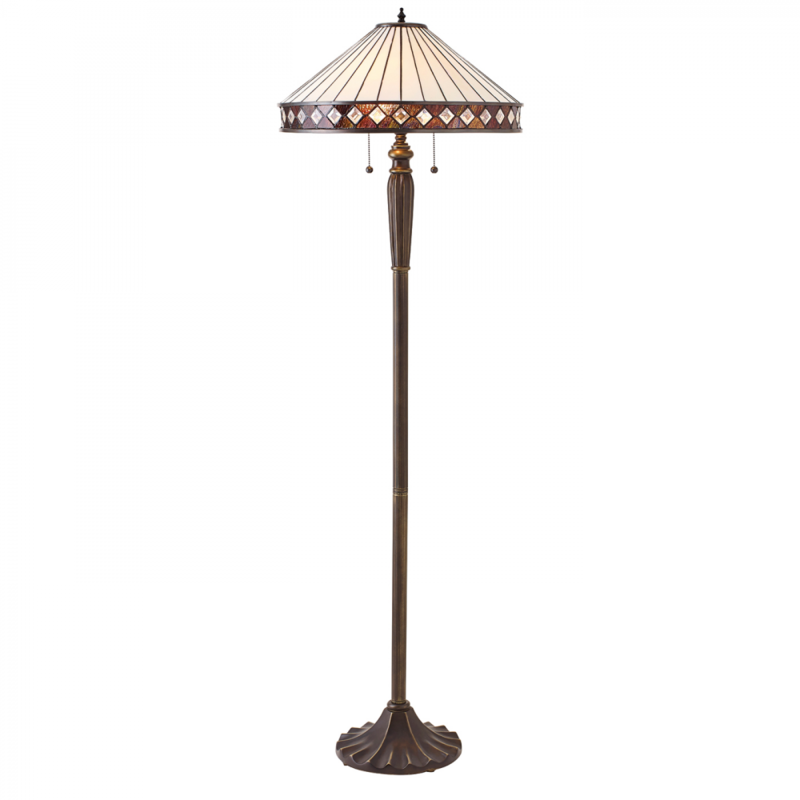 This Tiffany style floor light is a beautifully understated design comprising of clean lines and diamond shaped detailing. Teamed with a bronze effect fitting and compatible with LED lamps. Matching items available for a coordinated look. 157.5cm height x 50cm diameter.